India is making giant leaps in the renewable energy sector. By moving towards the achievement of its commitments under the Paris Agreement on Climate Change, Indian renewable energy sector is witnessing a strong growth over the last years, reaching a total installed capacity of 90 GW distributed over hydro, solar and wind power. Driven by the common vision of a future shaped by accessible and clean renewable energy, BaxEnergy together with its local partner POWERCON are actively contributing to boost Indian market, offering to renewable player’s best-in-class solutions for increasing power plants’ performance and efficiency, while having back the best return on investment. As Energy Studio Pro grows in terms of GW monitored Worldwide making its users successful, its presence in the market grows as well satisfying high customers’ requirements and needs. This is the case of Orange Renewable, leading independent power producer that has chosen the turn-key solution offered by BaxEnergy and POWERCON to accurately monitor and control its wind power plants, maximizing energy production and reducing losses. 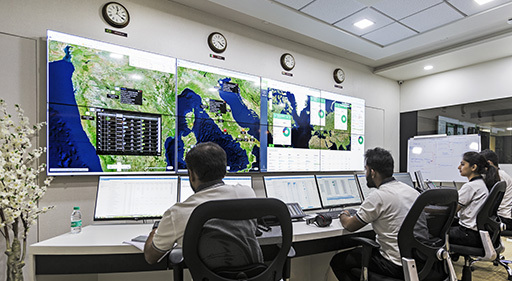 To quickly integrate company’s entire portfolio that stands at 567 MW of total installed capacity, both teams of BaxEnergy and POWERCON are working together in the new innovation Hub Free Mind Foundry that is welcoming two Indian technicians coming in Italy to closely collaborate with the rest of the Italian colleagues. The 10 wind farms across India will be equipped with state-of-art technologies such as HTML 5 SCADA System and GIS, the automated data export into excel files and the advanced 3D visualization running also on mobile devices. Additionally, Orange Renewable will get a distributed Store & Forward system to ensure no data are lost in case of intermittent connectivity, and a 24/7 Help Center Service that will provide company effective troubleshooting and responsiveness to errors, with a full control of mission critical infrastructure and guaranteeing best overall performance, service quality and data reliability. Firmly convinced that renewable energy is the future, Orange Renewable is 100% committed in the development and management of green projects around India, boosting a growing portfolio with the aim to reach in the near future the target of 1GW of solar power that will also be integrated into Energy Studio Pro.